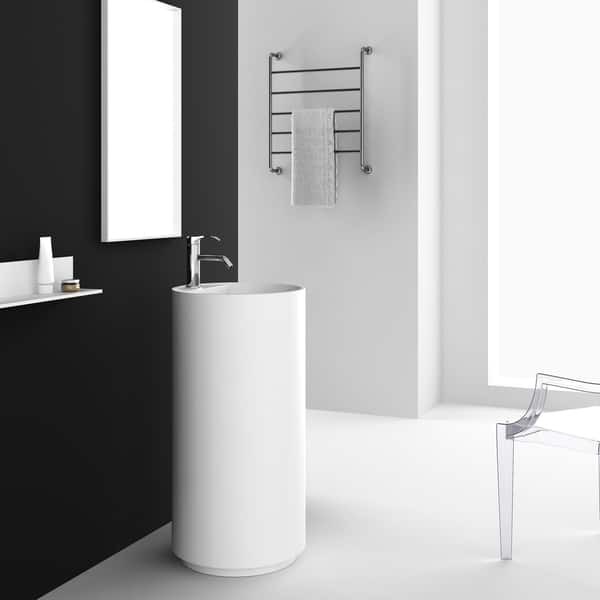 Tall and cylindrical, this Crestview Pedestal Sink from Fine Fixtures has a modern yet versatile design that will give your bathroom an updated look. This pedestal sink features a single, round basin with a lever-style handle. Made of marble and acrylic, this sink features a matte white base with a clean, white basin, providing your home with a contrasting look that is sure to catch anyone's attention. Measuring just over 35 inches high and freestanding, this stunning sink from Fine Fixtures comes fully assembled. "What height is correct for this sink?"